Age: 40 Dealer since: 1995 Dealership: International Motors (Saab), Falls Church, Va. Average monthly sales: 6 new; 22 used Quote: "I think Saab is starting to finally turn the corner a little bit. It seems more people are starting to know and understand that Saab is still around and still producing cars than people who believe that Saab went out of business." Saab's dealers have had several turbulent years, climaxing in February 2010 when General Motors sold the Swedish automaker to Spyker Cars NV. GM started shopping Saab in 2008. But with prospects of finding a buyer seemingly nil, GM closed Saab in January 2010 and started liquidation. A few weeks later, an agreement was signed with Spyker, and the company was purchased Feb. 23. Restarting production took about two months. In the meantime, dealers saw new-car deliveries and inventory disappear. Consumer confidence in the Swedish automaker plummeted. News reports about Saab's problems led some consumers to believe, mistakenly, that the company had gone out of business. Floor traffic all but stopped. 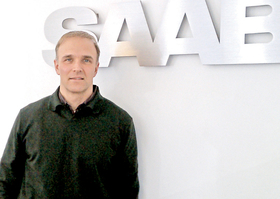 Today, the future is brighter, says Kurt Schirm, chairman of the Saab National Dealer Council. Saab is strong in product, he says. The redesigned 9-5 was reviewed favorably by the press last summer. The 9-4X cross-over debuts this spring. A 9-5 wagon goes on sale in the fall, and the redesigned 9-3 will be in showrooms next year. Schirm is president of International Motors in Falls Church, Va., a Washington suburb. His stepfather started the dealership in 1971. Schirm spoke with Staff Reporter Rick Kranz. Q: In 2010, GM shuts down Saab, then Spyker and Victor Muller acquire Saab in February, and the company slowly gets back up to speed. How would you characterize the year? A: You have to go back beyond 2010. The issues with us started well before GM put us up for sale. If you look at the last quarter of 2007, I suspect that's when internally GM really saw that they had significant -- to the point of almost insurmountable -- financial issues on the horizon. There was a significant step back in the level of resources and focus that they were putting on Saab. They started communicating delays in product launches for the 9-5 and the 9-4X so we could kind of feel a little bit of the writing on the wall. They stopped spending enough advertising dollars. It's been a pretty difficult three-year period. You look at 2009, that was when we basically got the death sentence from GM. We were put on strategic review in, I believe, November 2008. Saab entered reorganization in February of 2009. We were put up for sale officially in March 2009, and then it was just a very drawn out, long process. I'll remember the day forever when GM announced that it was putting us into liquidation. Then, finally, an agreement was made on Jan. 23, 2010, and then they went to settlement a month later. So it has definitely been a lot of emotional stress, for sure -- and definitely some bright spots. In meetings after the purchase, what issues did the dealers bring up with Saab Chairman Victor Muller and CEO Jan Ake Jonsson? The single biggest issue was the result of how the U.S. media [reports the news] and how the U.S. population consumes their news. Everyone seems to be so fixated on negative news that negative news is what sells. When GM was in the process of closing Saab, you couldn't turn on your TV or open a magazine without at least seeing a headline that GM was closing it down. The deal gets done and it maybe made a ticker across the bottom of the TV screen. There was a big disconnect in communication from the volume of messaging that was out there when it was looking bad vs. when it was looking good. When things turned around, Victor and Saab North America's PR efforts were on a full court press doing interviews. There were articles in Time, BusinessWeek, video interviews on Bloomberg News. They did a full court press on getting this message out and telling the story, but it just didn't get the mass volume. A huge issue was communicating what happened to Saab. You knew that something was going on, and it wasn't good, but what happened as the end result? I think Saab is starting to finally turn the corner a little bit. It seems more people are starting to know and understand that Saab is still around and still producing cars than people who believe that Saab went out of business. But straight through the summer the majority of people out there thought that Saab got closed down. What other issues did the dealers raise? We pushed very hard on marketing volume and marketing messaging. They brought the dealers in at the ground level of advertising design for the Saab ad campaign. The dealers who viewed that are very impressed by the work that the ad agency put together. GM ran Saab for 20 years. How is Saab different now under Victor Muller? In Victor, you have a true car guy. The guy loves cars and he's passionate about the brand. When Saab was owned by GM, I served on a number of different councils that went outside the realm of Saab and went into the broad portfolio councils where there were representatives from every brand GM had in the U.S. They treated it kind of like a widget business. You could have plugged and played these guys in any industry and I don't think their mind-set or mentality would have been any different. There wasn't that inherent passion for cars to the degree that you have now. With Victor you have a guy who truly understands brand essence and what's going to make one vehicle different and unique from a competing brand that performs the same tasks, costs the same amount of money. So he understands what it takes to steer somebody to a Saab versus an Audi or to a Saab vs. a Volvo. I think we're going to see that in the product. We're going to see that in just the way the entire image of the company is seen from the dealers, from the press, from consumers. I think you're going to see that come through in our marketing. So I think that's the biggest difference, a true understanding of what it means to be a European luxury brand and a true understanding of how do you differentiate yourself and how do you make your car special and unique. Was moving from GM ownership to Spyker a smooth transition for the dealers? Looking at the enormity of the tasks at hand, I'd say yes. I mean that was a pretty big shakeup. The PR effect that we suffered at the hands of GM's antics in the buy-sell was tremendous so given the situation that we were dealt, absolutely. I think it's really just staying focused on creating the brand, relaunching and re-educating. In a lot of instances, educating for the first time the U.S. consumer base about the brand, really digging into the history and heritage. I think that's one of the things that makes European cars special and makes them worth the premium. You know, there is a heritage and history to each of the brands that makes them worth more than the sum of the sheet metal and components. Saab has a very rich history, especially for a company as small as Saab, [such as] the level of engineering, the number of innovations that they've brought to the industry, the number of patents, the number of industry firsts. It's really an impressive story. And the way they think about engineering, it's always to bring things to the simplest common denominator so they don't overcomplicate design when it doesn't need to be. In terms of the daily operation of the business, what were some of the issues that Saab dealers raised with North American management that were quickly resolved? For the most part everybody understood the baseline items that we needed to have in place. Shortly after we started receiving vehicles we had leasing back in place. Was it perfect right out of the gates? No, but we tweaked it and ALG gave us reasonably strong residuals so the programs all came in fine. The biggest issue we had was messaging -- getting the word out that Saab was in business.